Tornado Siren is the story of two outsiders drawn together by the simple beauty and deadly destruction lurking on the Great Plains. Tornado researcher Victoria Thomas discovers an impossible set of footprints in a muddy field near Memphis. They indicate that a man walked away unharmed after being engulfed by the full fury of a twister. A year later, Victoria finds an identical set of mysterious tracks in Kansas and becomes obsessed with finding this odd wanderer. His existence challenges her very conception of reality and stimulates something deep within her imagination. When she finally does find Ben Fulgar, Victoria can’t believe her own eyes or his improbable story. She’ll risk her life to prove to herself that the world operates according to rational rules. During their adventures on the prairie, their relationship intensifies into a love that will be challenged by the ultimate forces of nature. 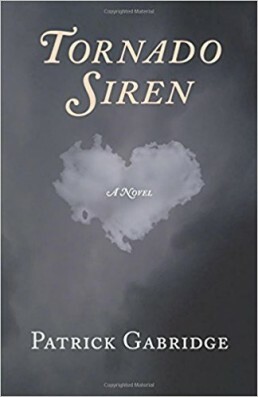 Tornado Siren was originally published in 2006, by Behler Publications. It’s now available as an ebook for Kindle, Nook, and other formats (via Smashwords), and I’ve re-issued it as a paperback, that you can order from your local bookstore or from Amazon or a zillion other online bookstores.